1 How to activate Banglalink 93 TK Bundle Offer? 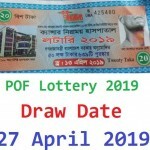 Banglalink 93 TK Bundle Offer 2019! Hello Dear, welcome to Banglalink 93 TK Bundle Offer – 160min+150SMS+150MB@93TK. The Bangladeshi user friendly telecommunication Company “Banglalink” lunch some special bundle offer for their valuable customers. In this website, we will try to update all Banglalink Bundle Offer 2019 in a single post. We hope, it’s very helpful for the Banglalink Regular customers and Banglalink BD MNP Customers to buy a cheap rate bundle package. Today, we are going to share full information about the Banglalink 93 Taka Bundle Offer. So, staying with us and continue reading this content. Under this offer, Banglalink customers are eligible to enjoy 9600 second any local number (160 Minutes any-net) + 150 SMS (any-net) + 150 MB Internet at only 93 TK for 15 days validity. So, it is a very special bundle offer, who Banglalink customers are searching Banglalink 15 Days Validity Bundle Offer 2019 in cheap price. How to activate Banglalink 93 TK Bundle Offer? There is two way available to activate the Banglalink 93 Taka Minutes, SMS & Internet Bundle offer. Who customers choose this offer and want to activate it, they must be need to recharge exact 93 TK or Dial USSD Code *1100*1#. 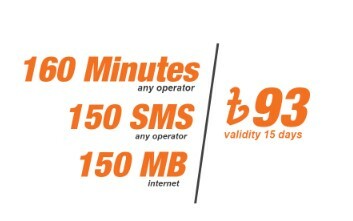 The Validity of Banglalink 160 minute any-net, 150 SMS any-net and 150 MB Internet at 93 TK Bundle Offer, 15 days. VAT + SD + SC included in recharge amount 93 TK. To check the remaining balance of Banglalink 93 Taka Bundle offer, just Dial USSD code *124*100#. If any customers buy both Banglalink Local and on-net bundle offer. First, local bundle SMS and minutes will be cut, then on-net bundle. Thanks for staying with us a long time and visiting Banglalink 93 TK Bundle Offer – 160 Minutes + 150 SMS + 150 MB @ 93 TK content. If you have any question about the Banglalink Bundle Offer? Just comment here. We reply as soon as possible.